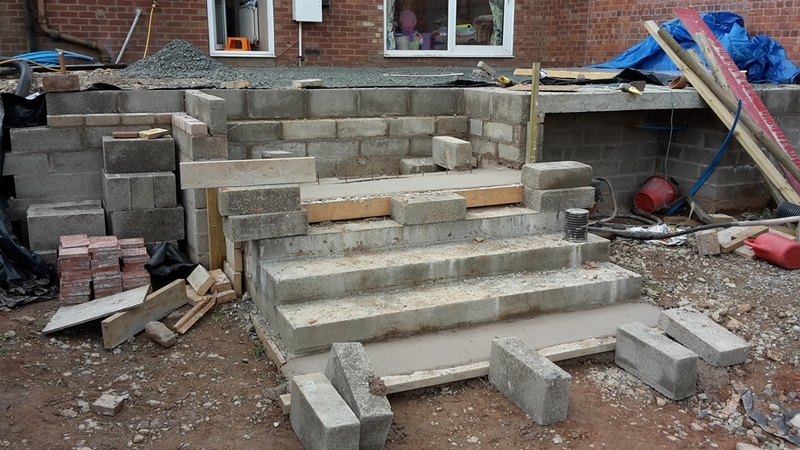 This has been a labour of love over the last three weeks! 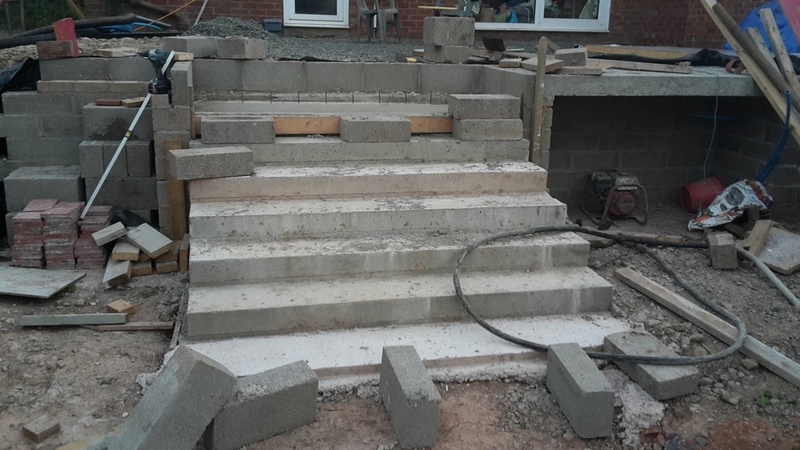 Blood, sweat and the whole of my little finger nail (which got ripped off on a piece of reinforcing bar) have gone into these steps! 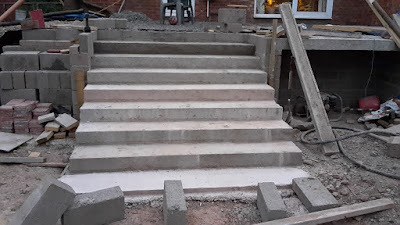 With the patio being so large I decided that having a nice, wide flight of stairs would really set it off. 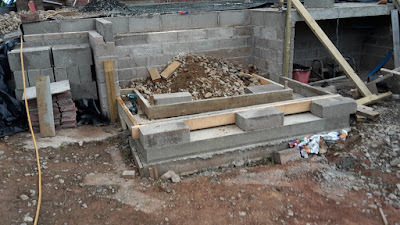 There was a few ways I could have made them; timber was out of the question as I wanted something maintenance free and to last a long time (it's very wet here and they'd rot in ten years or so). That left me with either using blocks or concrete, the blocks would be more expensive and I'm not great at laying them (so I'd get my brick layer to do it. The concrete on the other is something I could do myself but it does involve a lot of work (and I mean a lot!). 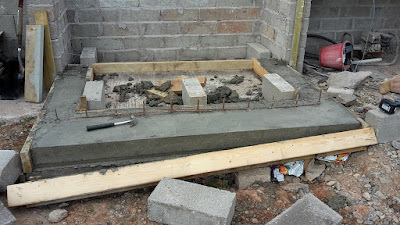 Not one to be deterred by a bit of work I went for the concrete option. 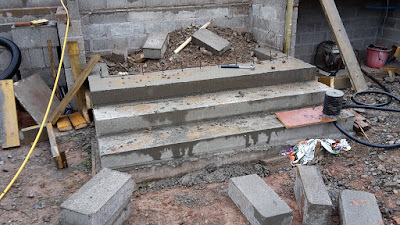 I have built full flights of stairs like this where you pour all the concrete for the steps in one go (have a look here) but I decided that as I was mixing the concrete in a small mixer by hand I'd do one step at a time, doing it this way means I can use the same timber to form each step as well so it save money. These pictures show the process, there was a bout 6 to 8 mixes full of concrete in each step! 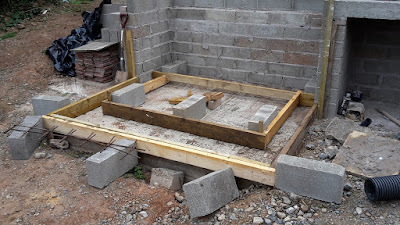 I tended to move and set up the shuttering/form work one night, then mix and pour the concrete the next and strip it the night after that. 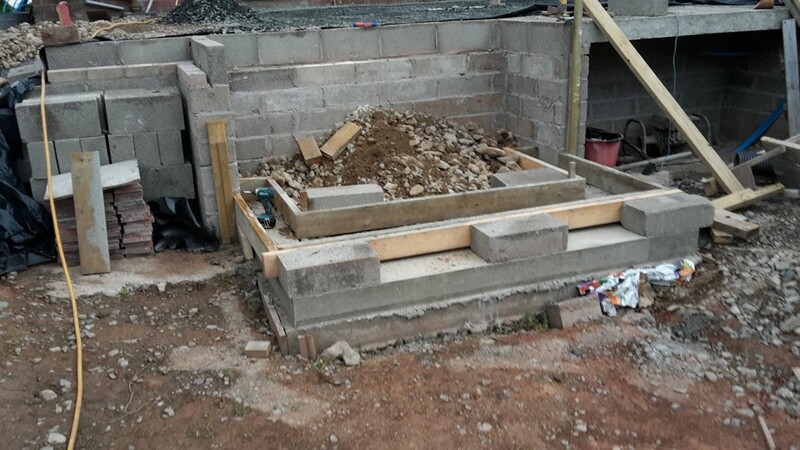 Second step form work in. 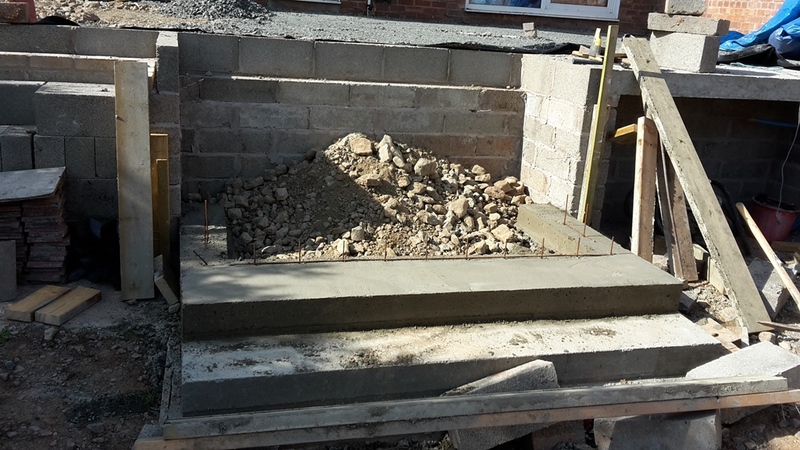 Stone fills in behind and is compacted down. 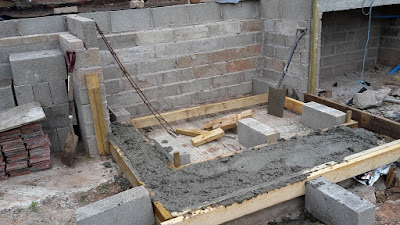 Another step - I did this one when we poured the footings for the extension as I ordered enough concrete to do it - seemed daft to mix it if we were having some delivered. I was surprised how much work were in these stairs, even though I knew there would be. 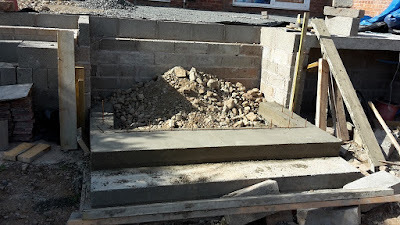 I guess mixing concrete after eight at night after doing a ten hour day on a building site is going to make me a bit more tired as well! Still it feels great to have them done. They'll get clad in the same stone that the patio will be with a handrail down the sides. Ever made steps like this? Wehey! They look great. 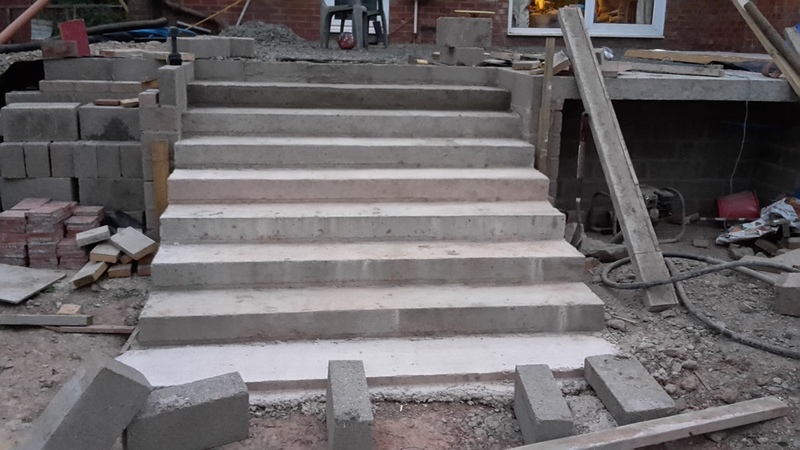 Bet you can't wait to see them clad in stone.